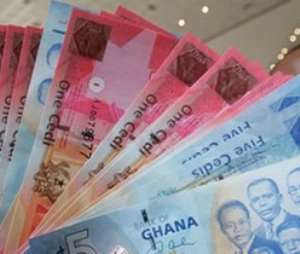 The cedi seems to be reviving now, however, the depreciation of the Cedi predates most Ghanaians alive today. It is a perennial disease that the pathogen entered the Ghanaian economic bloodstream in the 1960s. The symptoms of this lethal economic germ are numerous. From its cauldron, Ghana has suffered multiple coups that the architects claimed the possession of a magic wand to solve it. Unfortunately, none has ever come any close to proffering solution; rather, they make it worse. It is absolute insanity to repeat the same processes and expect different results. However, this is exactly what our politicians and political adventurers have pursued. On a brighter note, I hope we have seen the last of the latter. In addition, opinion leaders keep humming the idea that because we import a lot of our food it puts pressure on our scarce foreign dollar resources. Nothing could be more wrong on that count. It should be made clear that before the arrival of cocoa, Ghanaian farmers were producing enough food to feed ourselves. Then Tetteh Quarshie brought this cash crop into the country. Ghanaian farmers found it more profitable to produce cocoa rather than food crops. What we have to remind ourselves is that the land that was used for food crops is what changed to cash crop. But Ghanaians did not go hungry then. Because what we earned through cocoa export was used to purchase floor and rice, which has now become part of our staple diet. So, the mantra that we import all our food stuff is what emasculate or put pressure on the Cedi is absolute nonsense. The problem started when the cocoa industry was nationalised. The government soaked the farmers with huge taxes and her bureaucrats also applied chicanery tactics to cheat the poor farmers from the little they got from the government. As a result, some of the helpless farmers simply stopped farming. Others did not reseed their aging plants. The bold ones resorted to smuggling their produce to our neighbouring countries. With all these going on, we lost a substantial percentage of the next generation of farmers. Inevitably, productivity went on a downward slide. And where there is no profit to be made innovation stops. That is why we still see farmers using cutlasses to break the cocoa pod for the precious beans when it should have been long mechanised. From a peak of 550,000 metric tons in the mid-1960s with a population of around six million, we fell precipitously to 183,000 metric tons in 1983 when our population was 14 million. If anybody could recall, that was the period we experienced the greatest fall in the value of the cedi. Gari Olonka shot up from sixty cedis to three hundred cedis. The explanation is very simple. The cause was drought, and bush fires also destroyed the little that farmers were able to produce. It just happened that the little gari in the system was pursued by more money, therefore, the extra demand forced the price of this product up. By the way this is just one example for illustration purposes; there were many products and commodities that experienced unimaginable price hikes. I now come to the reason for this piece. On the 16th of this month on Newsfile, Mr Kofi Bentil, a legal practitioner and vice president of IMANI Africa made a comment that warranted this rebuttal. I have always agreed with whatever he has to say, but this is where I part company. It was a discussion on the depreciation of the cedi and he argued that our political class do not know how to solve the cedi problem. There were some on the panel who were chiming some of the argument I have refuted above. My contention is that they know how, but they don’t have the spine and political will to solve it, because it is not rocket science. Productivity is the key. If a population of six million could produce 550,000 metric tons, how can a population hovering around 30 million be producing 900,000 metric tons and this happens to be our main foreign exchange earner in terms of the number of people it engages. The government employs too many people who just push papers around. They do not produce but actually hobbling those who do with tall list of bribes they extort from enterprising Ghanaians. I was outraged when the number of constituencies was increased from 200 to 275 and I asked for what purpose. The number of regions has been increased. My question is who is going to pay for the regional secretaries, and their army of workers. They are going to draw from the little that is produced by the farmers. And we do not understand why the cedi depreciates. It is demand and supply. When we produce less and we give too many people the purchasing power it fuels inflation and this has been our banes since the sixties. Ask yourself the question how can the head of the national service secretariat not know the number of personnel they have. He cannot claim that he knows, because if he does then he is an accomplice to the 1,001 ghost names that swell up their wage bill. How could so many contractors resubmit invoices that has been paid already to the tune of Ghc5.4 billion according the last auditor’s report that Daniel Domelovo is dealing with, unless they have accomplices in the bureaucratic machinery of the government. What I have outlined above is only a tip of the iceberg. Much of the booty that goes into private hands should have gone into capital investment to produce more, rather they go into consumption. And we sit down with open arms and wonder why the cedi depreciates endlessly? The solution means initial massive job losses, and this is not what the politicians are ready to face. It is the third rail of Ghanaian politics; you touch it and you die. None of our carrier politicians are prepared to sacrifice their carrier on the altar of the cedi. As an individual, if you spend what you don’t have you might end up in prison. There is no such thing as a prison for a whole nation. The price we pay for our recklessness is the depreciation of our currency, which the pain is mainly borne by the poor. This author has authored 138 publications on Modern Ghana.